One of the outcomes of the previously mentioned Space Jam is getting to know a number of poems I didn't know. I shall list and discuss them here. Poetry is something I enjoy, and you should too. The poem discusses time and disorder within nature that is the result of humanity following only science and not the divine. Leaders are described as materialistic and unable to understand reality. The only way for mankind to find salvation is through pursuing the divine by looking inwards and realizing that humanity is interconnected. Only then can people understand the universe. (..) Despite the poem's doubt and darkness, a note of hope is struck by the first line of the fifth section, 'So here I am in the middle way'. This refers to the first line of Dante's Inferno, 'Midway in our life's journey, I went astray'. Although the descent is predicated on going astray, so also is persevering beyond it into the light. Let us continue on with Mike’s choice: Atlas Shrugged - The John Galt Speech. I won’t explain it as, Mises Institute, University of Mississippi, Ayn Rand org (guide), QL, Penguin Group and Duke U do it for me. Next came Helen with a rather interesting poem: Phenomenal Woman by Maya Angelou. What is interesting about this poem is the author’s fascinating existence: Angelou's list of occupations includes pimp, prostitute, night-club dancer and performer, cast member of the opera Porgy and Bess, coordinator for Martin Luther King, Jr.'s Southern Christian Leadership Conference, author, journalist in Egypt and Ghana during the days of decolonization, and actor, writer, director, and producer of plays, movies, and public television programs. Since 1982, she has taught at Wake Forest University in Winston-Salem, North Carolina, where she holds the first lifetime Reynolds Professorship of American Studies. She was active in the Civil Rights movement, and worked with both Martin Luther King and Malcolm X. Since the 1990s she has made around eighty appearances a year on the lecture circuit, something she continued into her eighties. In 1993, Angelou recited her poem "On the Pulse of Morning" at President Bill Clinton's inauguration (via Wikipedia, link below). Cheryl had 3 poems, of which we’ll mention only 2 (she hasn’t discussed the 3rd one, suggesting it was written by her). Cheryl’s shortest poem was quite interesting: The Emperor of Ice Cream by Wallace Stevens [animation, reading]. The explanation [yt] reminds me of Faulkner’s As I Lie Dying (summary, course). The longer poem has to do with a bloody and ultimately unsuccessful Irish rising against the British and is thus explained in Wikipedia (link below): Although a committed nationalist, Yeats generally disapproved of violence as a means to securing Irish independence, and as a result had strained relations with some of the figures who eventually led the uprising. The deaths of these revolutionary figures at the hands of the British, however, were as much a shock to Yeats as they were to ordinary Irish people at the time, who did not expect the events to take a worse turn so soon. Yeats was working through his feelings about the revolutionary movement in this poem, and the insistent refrain that "a terrible beauty is born" turned out to be prescient, as the execution of the leaders of the Easter Rising by the British had the opposite effect to that intended. The brutal killings led to a reinvigoration of the Irish Republican movement rather than its dissipation. The poem Easter, 1916 by William Butler Yeats (1865–1939) is in public domain [reading]. 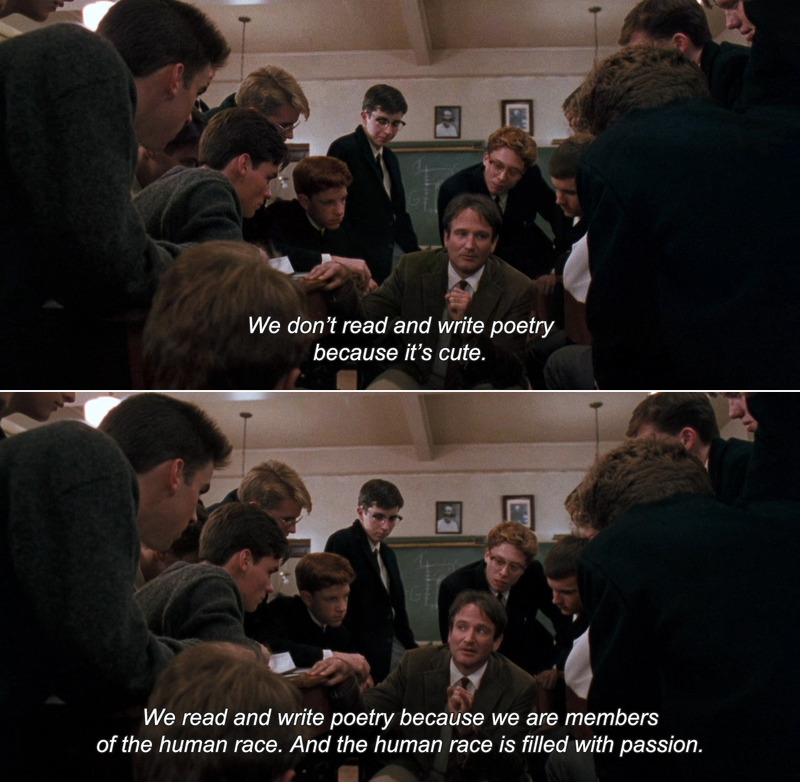 If you had to pick a poem to recite, what would it be? This entry was posted on 4.4.13 and is filed under art .